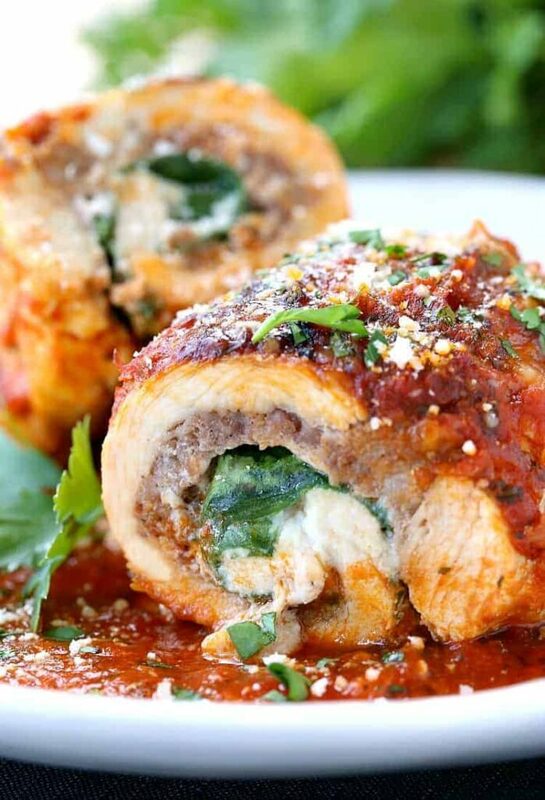 This Sausage Stuffed Chicken Rollatini recipe is so easy to make at home! 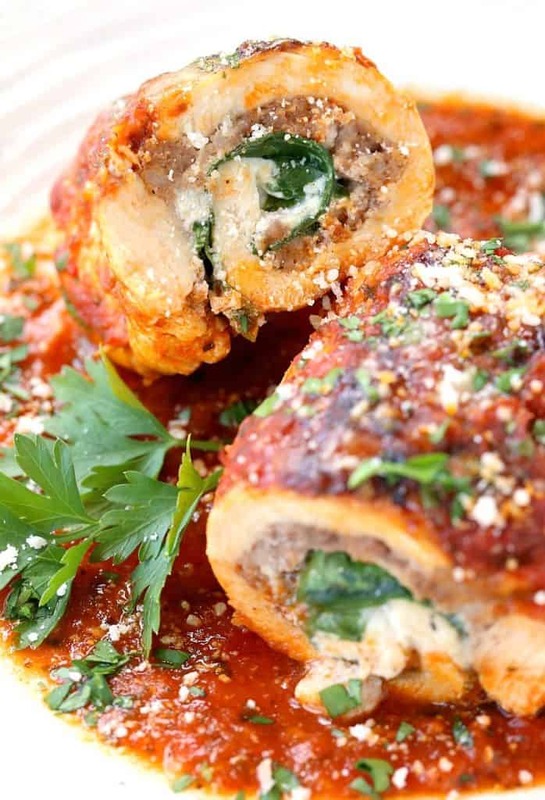 This chicken is stuffed with sausage and cheese and baked to perfection! Chicken recipes for the win! We know you’re making chicken all the time, so also try our Ultimate Chicken Marsala or our favorite Chicken Fried Rice recipe! This dinner is definitely going on our permanent dinner menu. It was one of those meals that every single person at the table ate everything on their plate and went back for seconds. How often does that happen, right? When everyone likes the same dinner? That’s a dinner home run. And a little secret for you, I used jarred sauce right from the store. Obviously if you have your own you should use it, we make our Homemade Marinara Sauce from tomatoes a lot in the summer so we can freeze it for the colder months but we also always have jarred sauce on hand. It makes life so much easier so I’m not going to sweat it and you shouldn’t either. 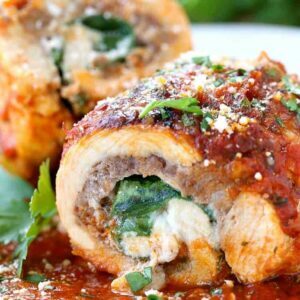 I promise you, this Sausage Stuffed Chicken Rollatini tastes so unbelievable you’re not going to have anyone asking for the sauce recipe that you used. There are a couple of things you need to know to get this chicken started so let’s get going! First you’re going to cut the chicken breast in half – but not all the way through. So you start at the thicker side of the chicken breast and cut right through the middle until you almost get to the other side. Then open the chicken breast so it lies flat on your board. 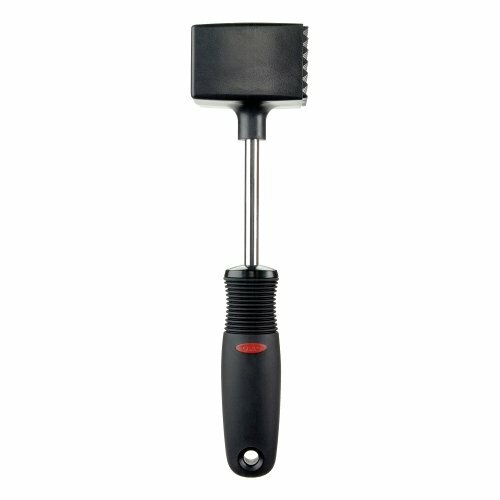 Now it’s time to get the anger out from the day…lay a piece of plastic wrap over the chicken, then using a meat mallet pound the chicken firmly, but carefully so you don’t go through the meat and make a hole, but evenly so the chicken is all one thickness. Once the chicken is pounded flat you’re going to season it with salt and pepper, then add a layer of sausage to cover most of the chicken. On top of the sausage goes ricotta cheese, parmesan cheese, fresh baby spinach leaves and a few grinds of fresh nutmeg to finish it off. Ok, now it’s time to roll. 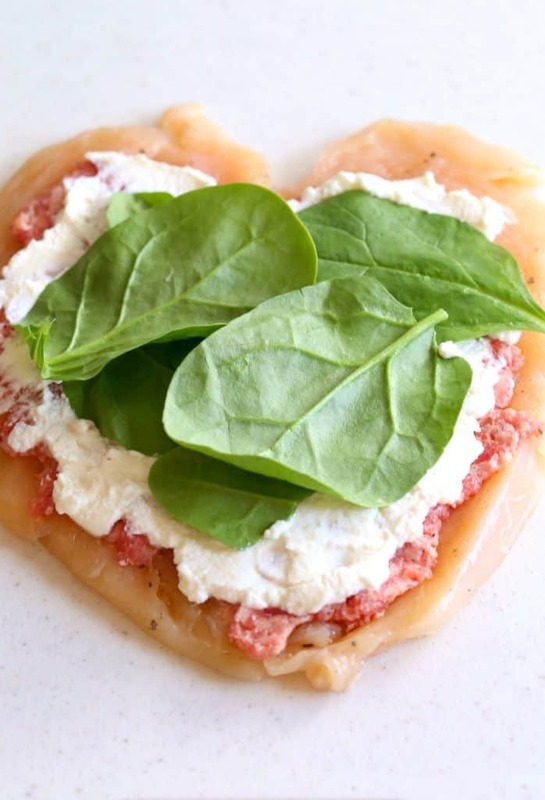 Roll the chicken up from the rounded part of the chicken breast – the side that looks like the top of a heart – and roll up to the end. While you are rolling, use your fingers to push in any filling that’s trying to escape, then hold the roll together with a few toothpicks. It’s really not as hard as it looks – you can’t mess this up. Once you get it rolled up it’s going to come together just fine. Add oil and butter to a skillet then place the chicken rolls in seam side down. Cook for 5 minutes over medium heat until browned, then flip to the other side for another 5. 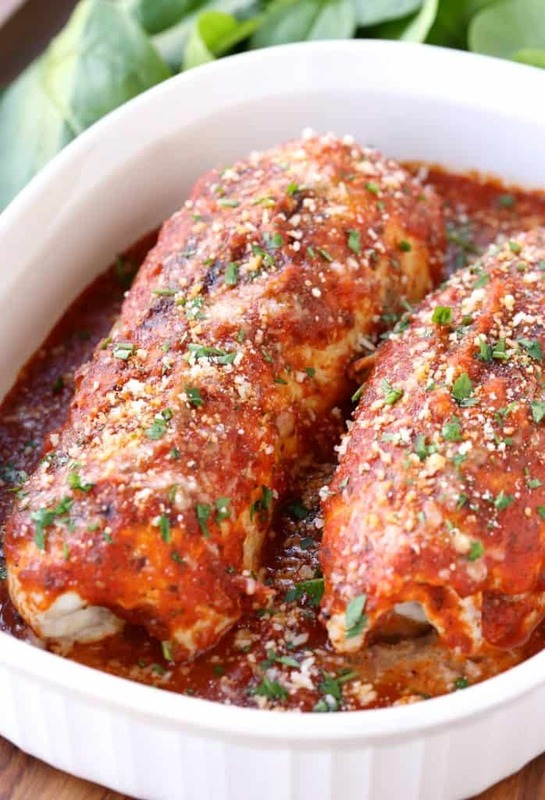 While the chicken is cooking grab a baking dish and add a layer of sauce to the bottom. Once the chicken rolls are browned add them on top of the sauce then pour more sauce over the tops of the rolls to cover. 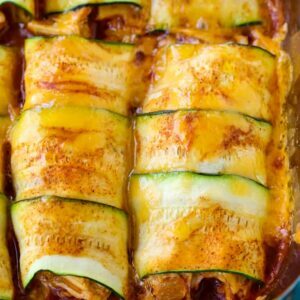 Add more grated parmesan to the top, cover with foil and bake in the oven for 35 minutes. Cut inside the middle of the rolls after the cooking time to make sure the sausage in the center is cooked through. 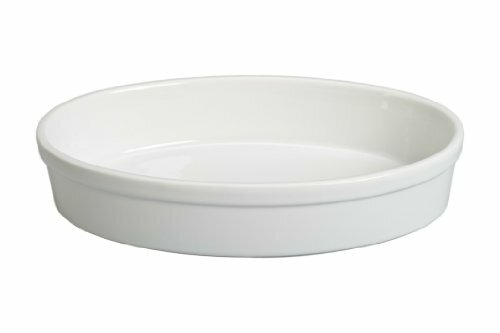 You might need a few more minutes depending on the thickness of your chicken. Now it’s time to slice and serve! Cut the chicken rolls into 4 pieces each. Add some sauce to a plate and place the sliced chicken rolls on top. We did two slices per person, with pasta on the side it’s more than enough. 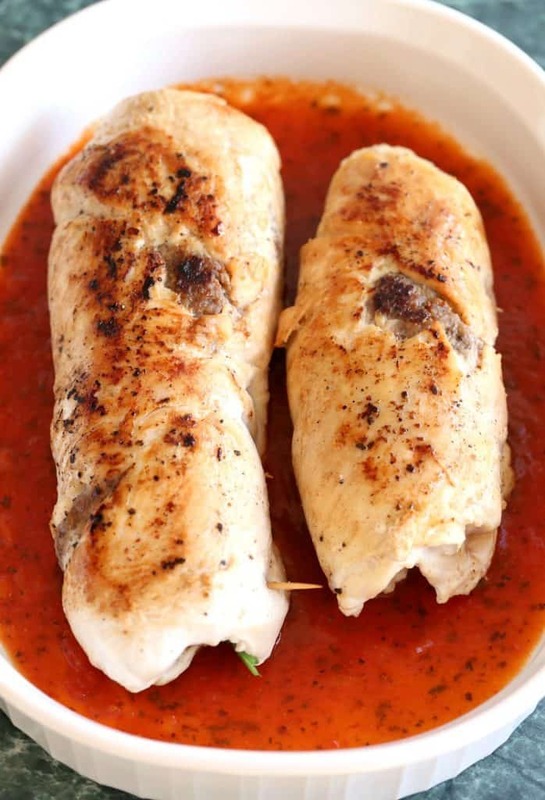 Another thing we love to serve with this Sausage Stuffed Chicken Rollatini are these Stuffed Artichokes also a family favorite. Good thing for our boys we always double recipes when we do our recipes testing because for them, it was back for seconds! Place a chicken breast on a cutting board. Starting with the ticker part of the chicken breast, make a vertical cut through the chicken almost to the other side but not cutting the whole way through. Open the chicken so that the chicken lies flat on the board. Cover the chicken with plastic wrap and pound the chicken thin using a meat mallet until the chicken is approximately a quarter inch thick all around. Sat and pepper the chicken, then take half of the sausage and add it on to the chicken spreading into an even layer. I used my hands for this, it was the easiest way but a spoon or a spatula would also do the job. Next add half of the ricotta cheese on top of the sausage spreading into an even layer. 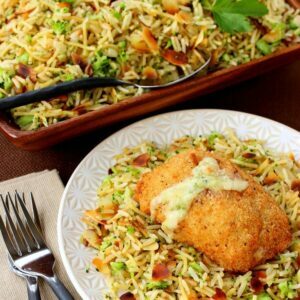 Sprinkle on half of the parmesan cheese, then add half of the fresh nutmeg to cover the entire chicken breast evenly. Now add a 1 cup of the spinach, spreading out to evenly cover the filling. Roll the chicken up carefully, using your fingers to press in any filling as you go then secure the seam with toothpicks. Repeat with the other chicken breast. Add the butter and oil to a large skillet over medium heat. Add the chicken rolls seam side down and cook for 5 minutes until browned. Then flip the roll over to the other side and cook for another 5 minutes. 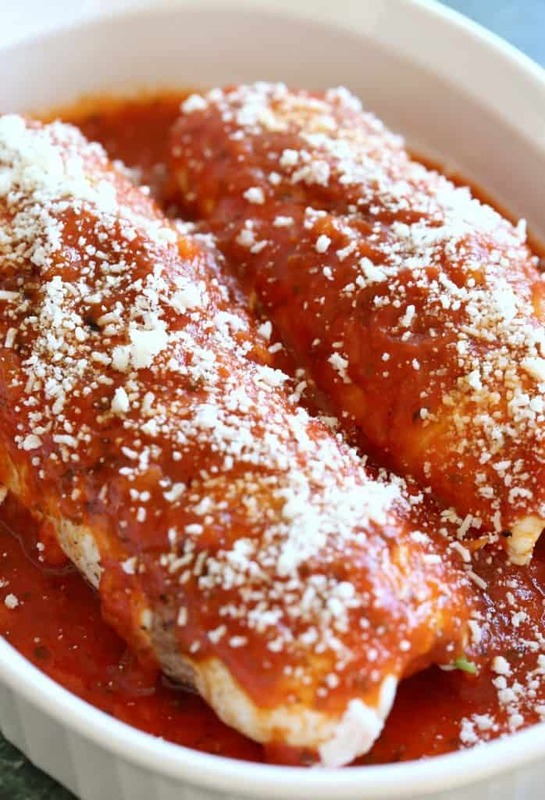 Remove the chicken rolls to a baking dish with a layer of the sauce on the bottom. Cover the tops of the chicken rolls with more sauce then cover with foil and place in the oven for 35 minutes. When the chicken comes out of the oven, remove to a cutting board and cut into the center of one of the rolls to make sure the sausage is brown and cooked through. If there’s still some pink just get it back in the oven for another few minutes. Let the chicken rolls cool slightly on a cutting board, then remove the toothpicks from each roll. Slice each roll into 4 pieces. 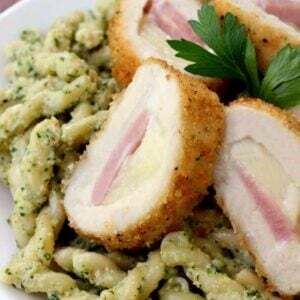 Garnish with parsley and more parmesan cheese and serve with extra sauce. Usually the packages I find at the store come with 2 large chicken breasts that total between 1 1/3 pounds and 1 1/2 pounds.